What: The Blazers are back in the land of Graceland for game 5 against the Grizzlies. When: Wednesday, April 29 at 6:30 p.m. (PT). This series: Grizzlies lead, 3-1. Note: Coverage in Portland on CSNNW will begin with Rip City Live at 5 p.m. Following the game on KGW, CSNNW will air Talkin' Ball followed by Trail Blazers Pulse. 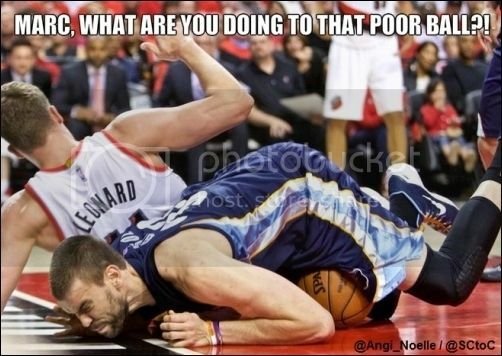 Pictured above: Blazers' Meyers Leonard; Grizzlies' Marc Gasol. Grizzlies: Marc Gasol 21 pts; Tony Allen 10 reb; Marc Gasol 6 ast. Blazers: Damian Lillard 32 pts; Nicolas Batum/Meyers Leonard 13 reb; Damian Lillard 7 ast. NOTE: For the playoff stats after game 4, we are using minimums of at least five each of field goals, free throws and three-pointers for the percentage leaders. For the regular season, we use a different standard than the NBA for the individual regular season statistical leaders. Our leaders apply to players who have played half of their team's games (41), as well as other basic statistical minimums. Leaders who are listed as "out" due to injury are not listed. Portland is fighting for its post-season life and was able to extend it with the game four win. The story of the game was the Blazers' last three lottery picks, Lillard, Leonard and McCollum. Lillard exploded for 32 points, mostly by driving inside and being opportunistic. Leonard posted a double-double with 13 points and 13 boards, but his defense on Gasol was his real highlight. McCollum put together his second strong game, shooting 8-12 from the field and 2-2 from three. Aldridge and Batum had their struggles shooting, but were terrific on the boards and on the defensive end of the floor. Lopez's main job is defense and he's battled Gasol well throughout the series. Afflalo seems to be re-acclimating himself since coming back from injury. He could be a threat for a strong offensive game any given night. Memphis would love nothing more than to close out the series at home, but they are clearly missing the defense of Conley, who is likely to be out after having facial surgery on April 27. Gasol has put up decent numbers, but Lopez and Leonard made him work for everything in game 6. Aldridge has largely kept Randolph in check, but the former Blazer is still a threat. Lee continues to hurt the Blazers, shooting 8-11 in game 3. The problem for the Blazers is they are giving him open looks from the outside. Calathes was serviceable in Conley's place, but he's not the defender Conley is. Udrih has scored in double figures in all three series games in which he has played. Allen gathered a team-high 10 rebounds in game 3, but is not much of an offensive threat. Green had an off night from the field, but he is a danger to go off. Defend the three, Lillard scores 25 points and the bench scores at least 30 points. Find a defensive answer for McCollum, get either Gasol or Randolph going and hold the Blazers to 90 points. 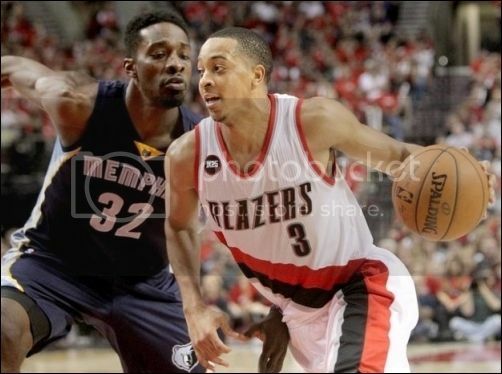 CJ McCollum vs Beno Udrih. Blazers guard Damian Lillard: "I think since the last game when we went 0-3, the big thing we've been talking about is having heart and playing with pride - and just not being swept. Everybody's always saying, `Nobody's ever done it, coming back from 0-3.' We didn't want to focus on that. We wanted to focus on just today, and doing everything we had to do to give ourselves a chance to keep playing." Grizzlies Zach Randolph: "When you're up 10 points with 6 minutes in the game in this league, you got to finish. Especially in these circumstances and what we're playing for. So it's frustrating." Big game tonight. Go big or go home. It would be amazing to win this. I would love to see at least half of our guys have great shooting nights, especially Aldridge and Lillard together. I hope Meyers and CJ come through like they did last game. I have a feeling this is going to be a great game for us. If we lose, I am going to delete this message! i would say there's about 10 minutes until tip off. time to get it done. I'm ready. Let's go guys! 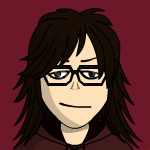 btw, to note, Angi has a game tonight and might be able to make it for the second half or so. i think Julie has a lab tonight. hopefully she can pop in during a break. turnovers on our first two possessions. Randolph with 4 quick points off the to's. We are playing like crap right now. we clearly did not come to play. it could be a very long night. Is it really 9-0? Not good.